Check the players: Ron Carter on bass, Maceo Parker on Tenor Sax, George Benson and Cornell Dupree on Guitars, and Billy Cobham and Bernard Purdie on drums. Damn. 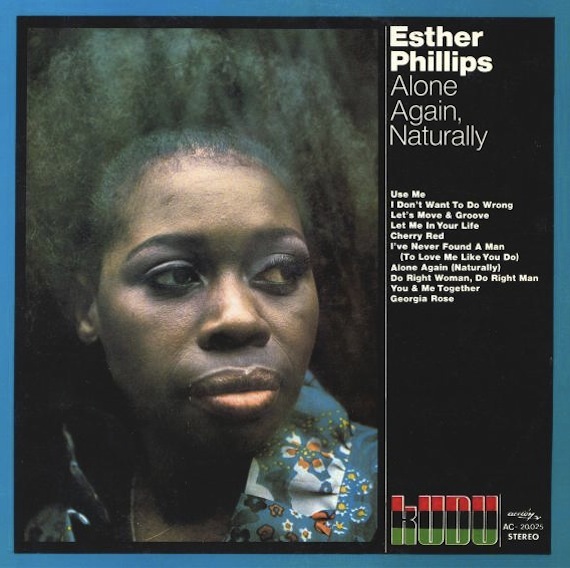 Via Esther Phillips 1972 LP, Alone Again, Naturally. Damn it right – holy smokes! Damn. Damn. Damn. That’s good stuff right there.